You're invited to our Day of Caring Luncheon on September 15. 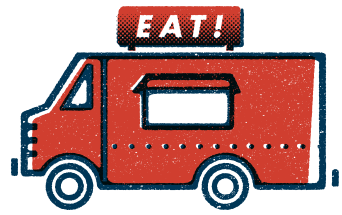 Daddy Pete's BBQ, Blue Spoon, and Silver Star Cafe food trucks will be available from 11:30 AM - 1 PM, and lunch is on us! Stop by any time that is convenient for you. All year long, volunteers, nonprofit organizations, and community leaders are brought together by our shared vision of a community where everyone has the opportunity to thrive. Whether you are with one of our agency partners, volunteered for Day of Caring or Food from the Heart, helped organize a collection drive, led a workplace campaign, or participated in a volunteer project through our Volunteer Center, we want to say thanks! There will be a brief program and group picture at 12:15 PM. Registration closes at noon on Wednesday, September 13. At Heart of West Michigan United Way, we unite community resources to reduce poverty in Kent County. Our staff, volunteers, donors, and agency partners are committed to creating lasting, sustainable changes that transform lives and build a thriving community for us all.